It is a difficult and tiring task to keep track of the various tasks involved in the ongoing and upcoming shooting activities. 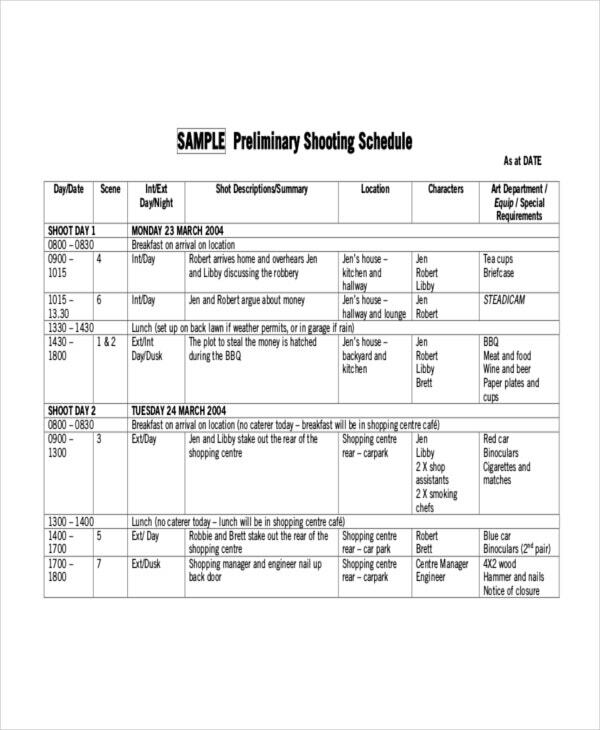 A shooting schedule template helps you to organize every facet and outline the entire shooting process. 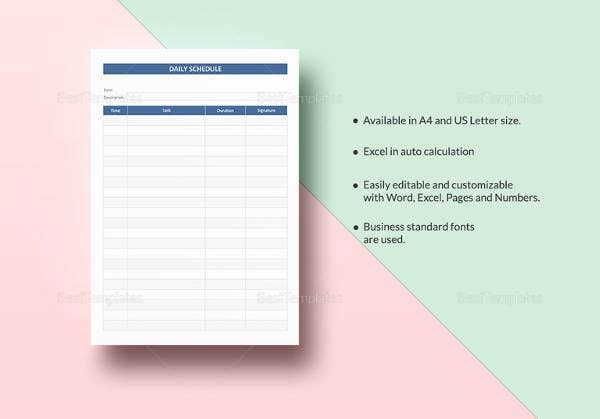 So, even the minute details pertaining to Schedule Template will be effortlessly noticed and taken care of. This, in turn, will enable the effective accomplishment of the job and enhance your career development. 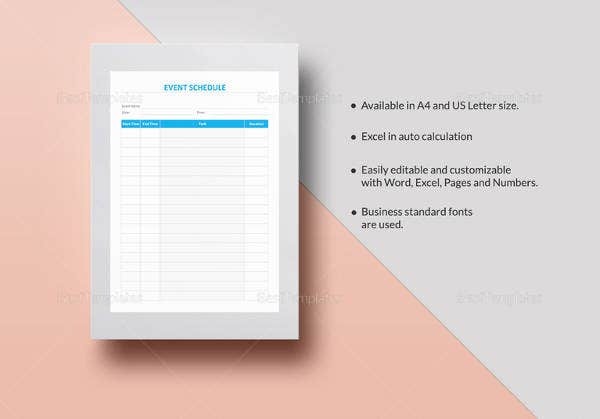 This template helps sports managers and sports professionals to organize their sports activities with proper scheduling. 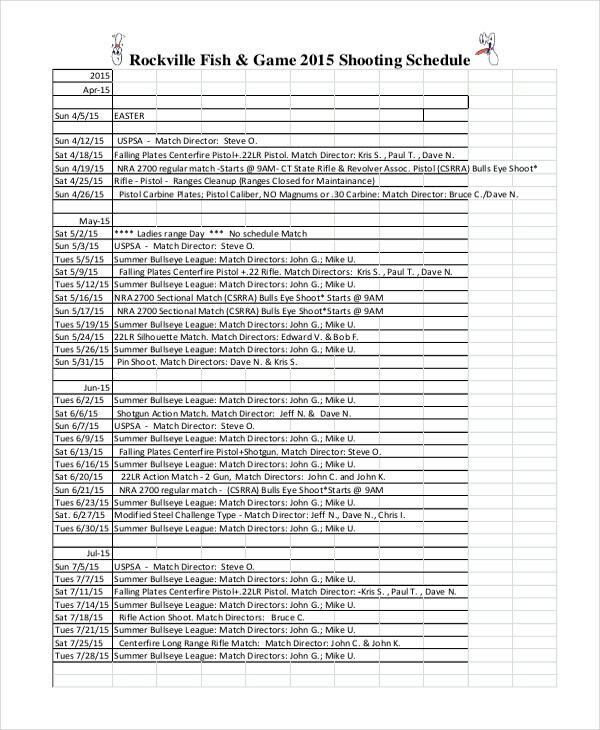 It has spaces for including info like the sports program, day, date, time, and venue. You may also see Hourly Schedule Templates. 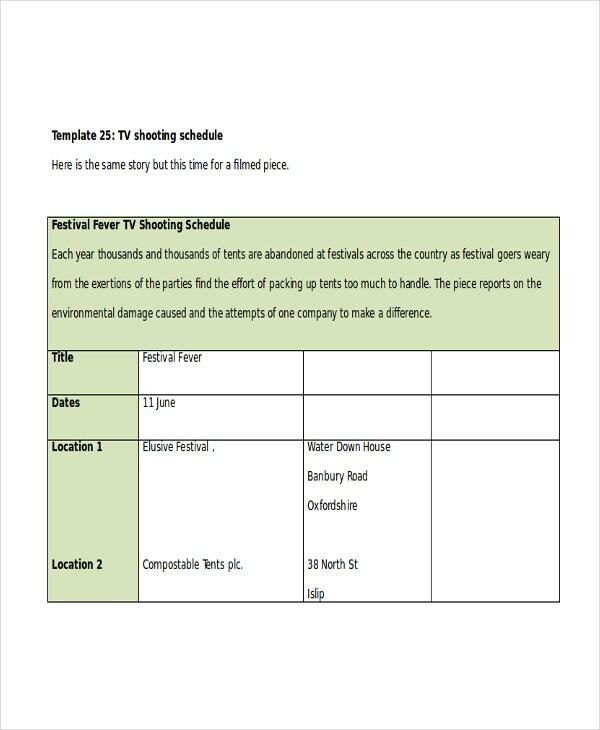 The TV Shooting Schedule Template is used by people in the media production field. It includes details like the title of the program, date, location (or locations), production team, and contacts. This template is used by people involved in the area of media production. It enlists details including date, scene, day/night, summary/short descriptions, venue, characters, and equipment, and other special requirements. 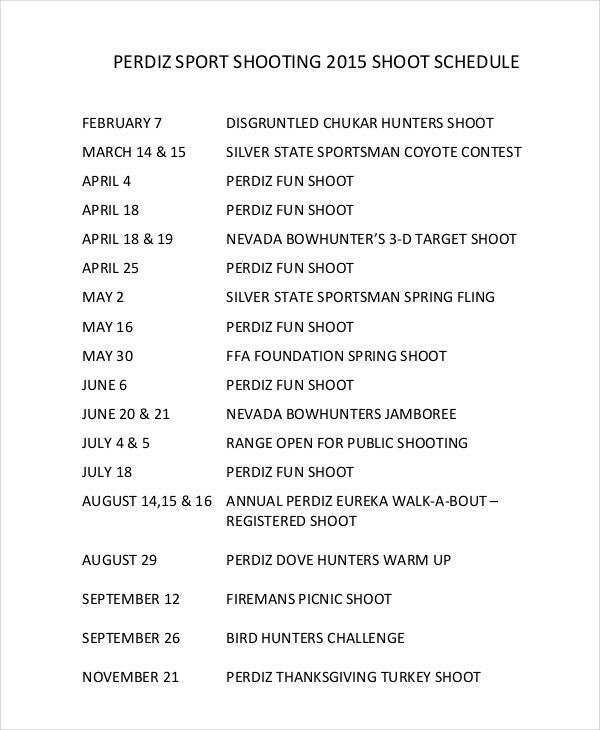 The Montana Shooting Schedule template includes details such as date/day, equipment required, venue, program, and in-charge person. 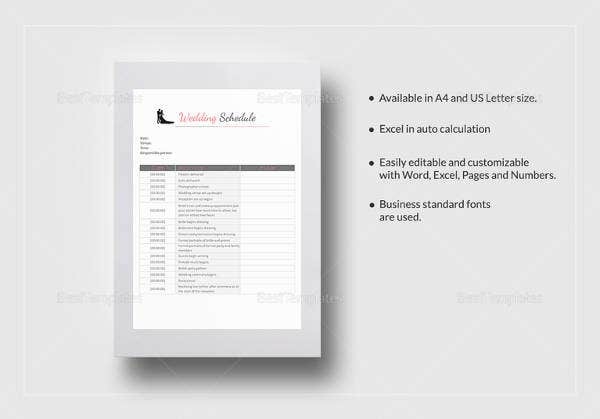 The information has to be filled in the template so that particulars do not get missed. The film production shooting schedule template helps in planning a day’s film shooting. It enlists info including the date, venue, equipment (lights, camera, props, sound, etc) , characters, safety precautions, production team, etc. 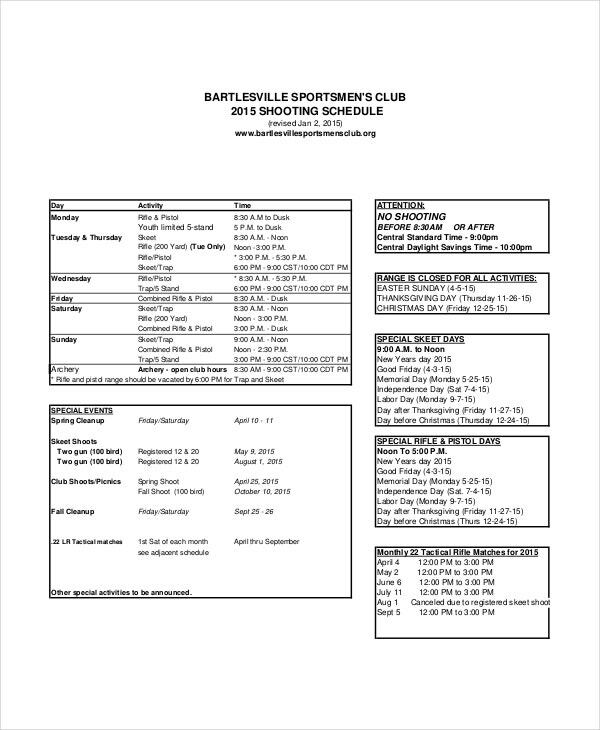 > Why Use a Shooting Schedule Template? In the TV show or film-making industry, it is usually easy to draw a plan and then work accordingly. 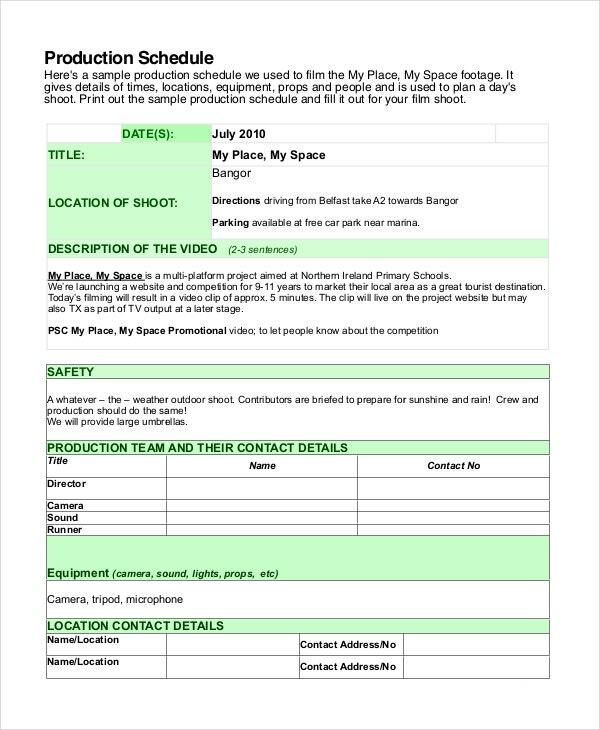 Production managers and others in charge can take advantage of the different shooting schedule templates available. They just need to plan their production schedule initially and document it in the excel template given. 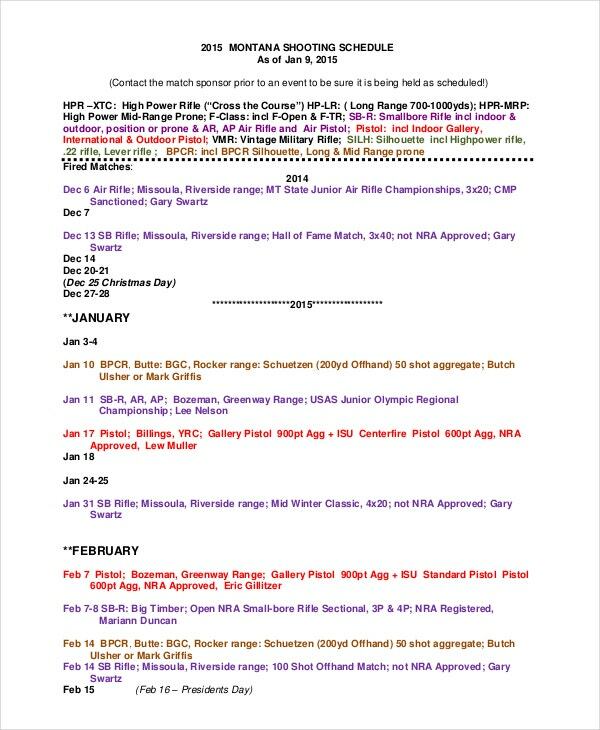 You may also see Training Schedule Templates. Since this kind of production scheduling includes every element from starting dates, finishing dates, recess, filming, editing, and delivery dates, a comprehensive picture of the entire program is made available. This makes the whole production unit confident of what they are doing and what outcome is expected from it. This also facilitates fast and right decision making as each one is well-informed. 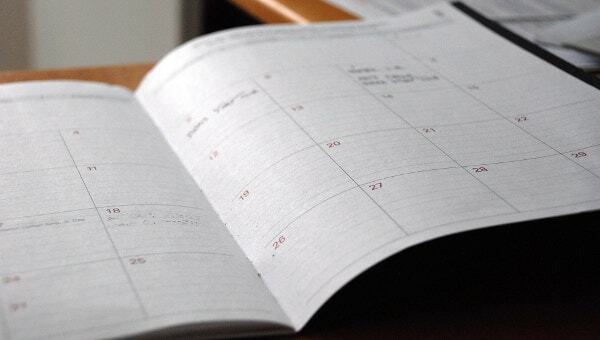 > How Should an Ideal Shooting Schedule Template Be? 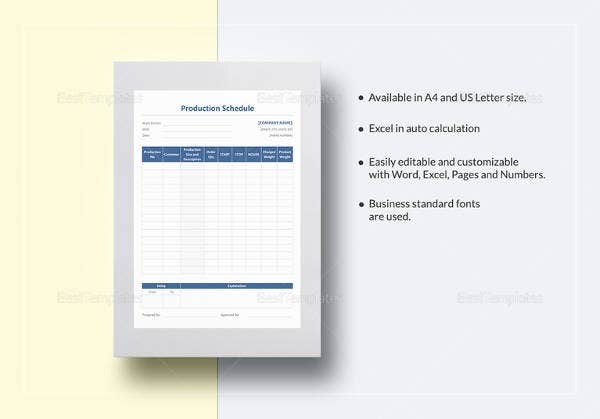 A shooting schedule template should have spaces for including every element of the shooting. It should also be flexible enough to allow for introducing amendments and alterations. Since the film or TV show production field is a very practical area, a pre-written plan will surely be subjected to changes. You may also see Nursing Schedule Templates. A character may be absent due to illness or some other unavoidable reason. This will call for a demand in the pre-planned schedule. A perfect shooting schedule should be able to accommodate such a change. In other words, you should be able to consider and use the shooting schedule drawn as a fluid piece of paperwork. 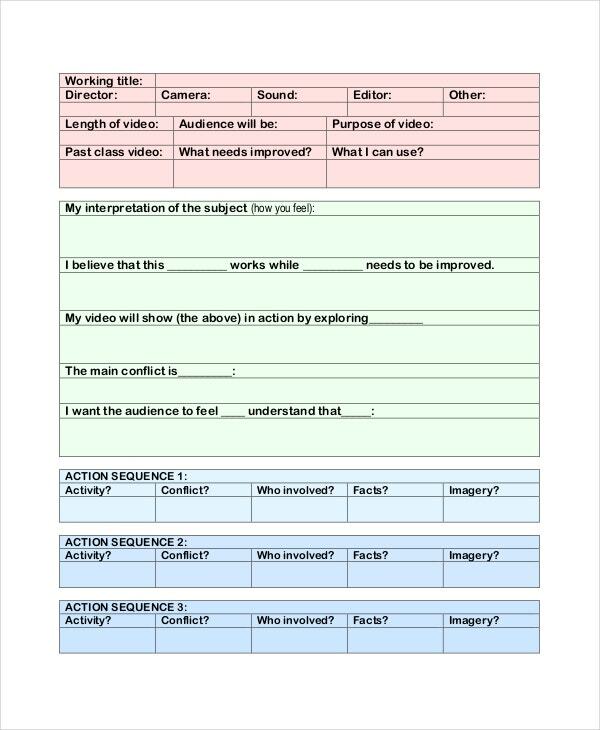 > How to Use the Shooting Schedule Template? Fill in the details carefully. While drawing the production frame, consider adequate time for sound dubbing, logging rushes, editing, filming, digitizing rushes, scripting, etc. Remember that it is just your basic production schedule and it will be subjected to changes as you get working, depending on the constraints faced. 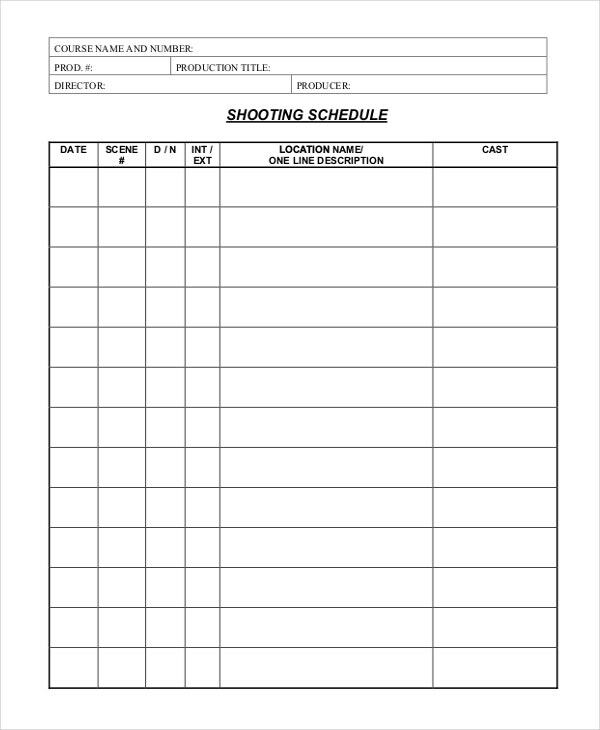 A shooting schedule template is the most convenient, cost-effective and simplest way to plan the production of your film or TV show. Utilizing a good scheduling template will allow uninterrupted workflow and save quite a lot of your precious time. Each of the shooting schedule templates listed above has an internal link anchor text to the templates.